YES or no, stay or remain, right or wrong, native or foreign. These are aspects of our current socio-political climate that resonate with us all, and National Theatre of Scotland, Théâtre PÀP and Hôtel-Motel’s First Snow/Première Neige tackles these issues in a way which shows there is simply no two sides to any one argument, and that none of us, or our shared histories are completely one dimensional. First Snow/Première Neige follows a family unit divided by politics, yet united in an equally passionate and apprehensive hope for the future. It explores the complex relationship of belonging and alienation within our home or adopted nations, mirrored in the politics of the family. 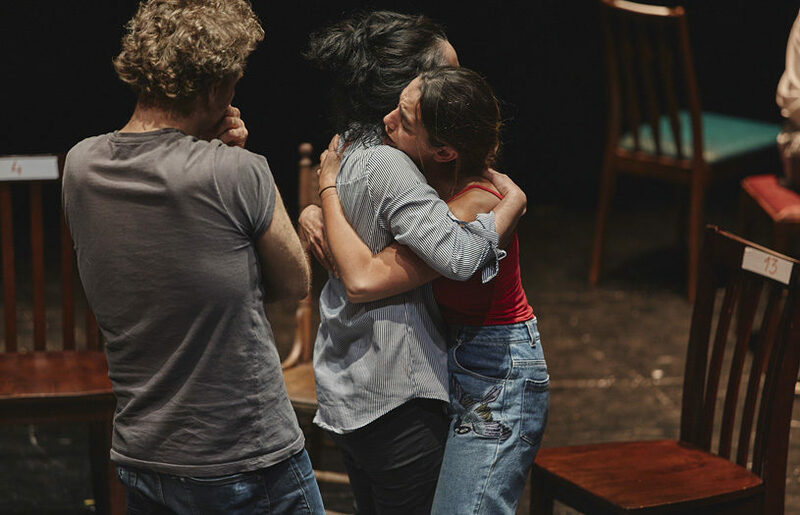 These connections are completely intertwined and paralleled throughout the performance, slickly travelling between English and Quebecois, all the while fully interpreted with British and French sign language as well as creative captioning. The characters all try to grapple with their own feelings of isolation and self doubt, of right and wrong, and that independence was a trophy, a beacon of hope for the future, snatched from their grasp. However, it’s not just this simple. The play also tackles each country’s sense of being the victim in a clever and balanced way, both through the antagonistic character of Harry, played by Harry Standjofski (each character plays both a fictional character, yet retains their own name and many of their own personal views within the performance) and through a scrutinising look at each country’s history. For example, in a heightened emotional exchange between characters Thierry and Francois, we see that colonial and empirical aspects of our history are still an ever looming part of our present. It conveys the fact that Quebec and Scotland both have a part to play in the current conjoined geographical climate each country and character would like to gain independence from. There is no simple we are right and you are wrong. Our current state is the culmination of a whole world of histories, many not to be proud of. 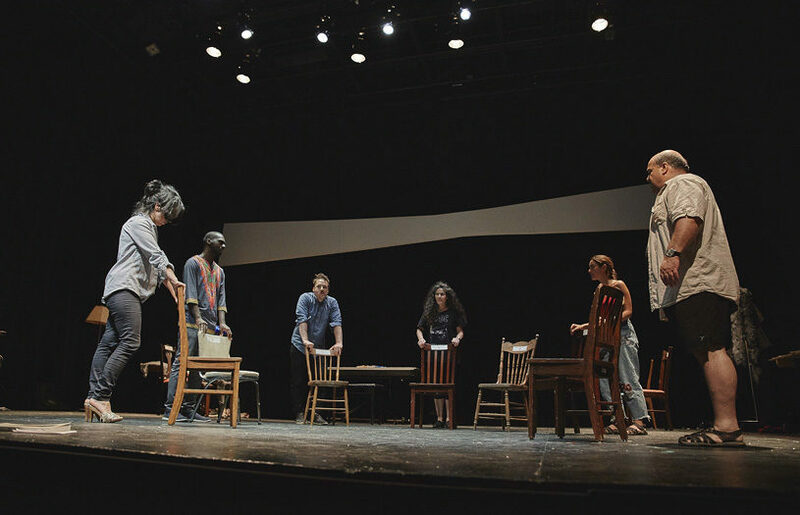 The play’s frequent metaphors – like Alzheimers running through the family perhaps representing national ignorance and history repeating itself – are subtly intertwined into the plot in an intelligent and imaginative process. The whole performance is a kaleidoscope of opinions, politics, histories, questions, answers, connections – indeed, it’s a stage version of the inner workings of most of our minds. First Snow/Premiere Neige provides a stylish and immersive metaphorical piece about the politics of personal and national relationships, and the shared, burning question of each: What does the future hold?